We had a very pleasant night at anchor. The winds were supposed to build and switch directions, but we woke up with calm conditions. We weighed anchor at 0710 and headed off. The winds were light as we motored but built to 15-20 out of the north so put out the jib, turned off the engine and relaxed on a nice downwind sail. Just north of Wolftrap light we saw our first Dolphins of the trip. As usual the boat traffic into Norfolk was crazy with barges, freighters, tour boats and warships. We weaved our way thru the traffic and anchored at hospital point. Normally we would go ashore, but now I have a cold too so we just fired up the grill and made a chicken dinner and watched the world go by. 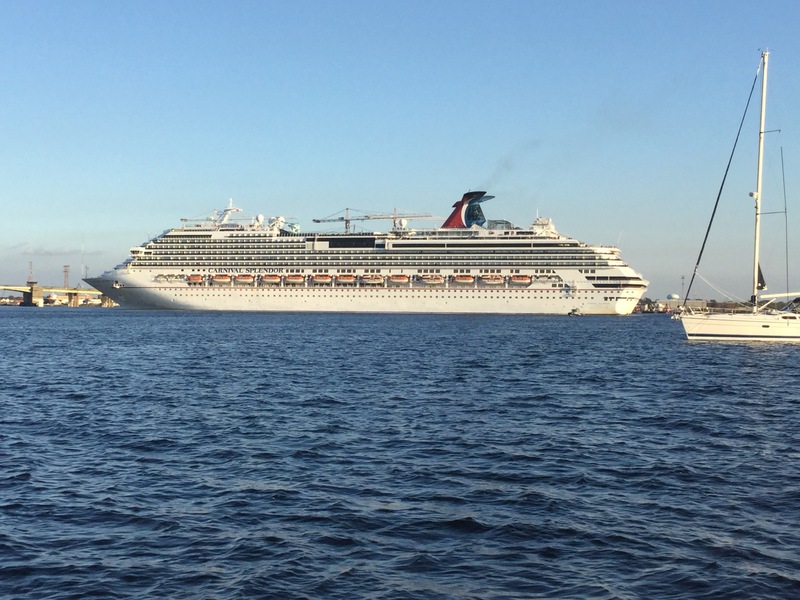 The Carnival Splendor was docked across the river and after running their safety training left the dock for Bermuda. We weren’t sure they could turn it around without hitting us but they did. 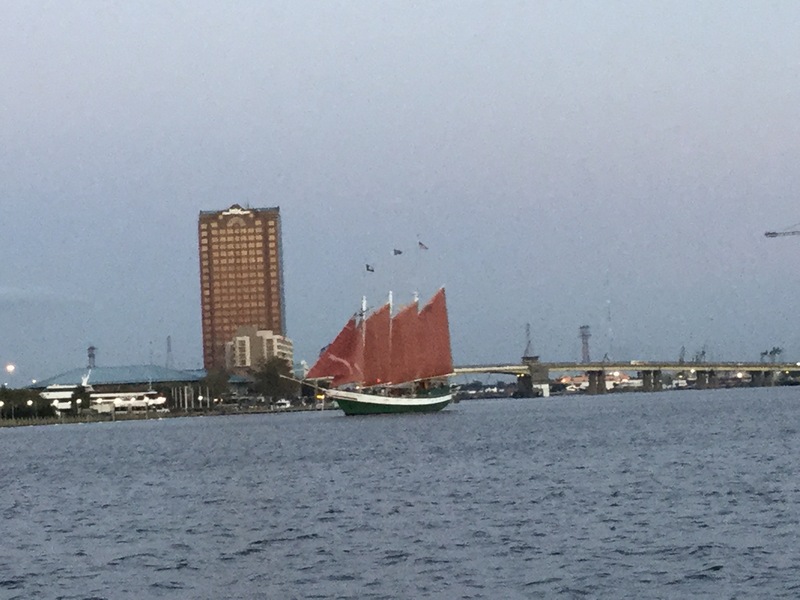 Then there was the evening schooner cruise to watch.